In college, getting a long-acting reversible contraceptive (LARC) was in vogue. It seemed like everywhere I went, women were talking about how their IUD had changed their life for the better. I was on the pill, and honestly, I wasn’t that great at taking it at the same time every day because I had a different routine for every day of the week. So when I went to the gynecologist a week before starting my senior year, I told the nurse taking my vitals that I was on the pill but was interested in talking about other options, specifically the IUD. The second I said that, however, the broader conversation I’d hoped to have about which contraceptive option was right for me was over before it began. My well-meaning nurse went into a long speech about how she would never recommend anything else, that both of her daughters used IUDs as their method of contraception and, that best of all, when her daughter decided she wanted to get pregnant and had her IUD removed, she got pregnant right away! The nurse did throw in a little clinical information—mostly that different brands last for different amounts of time—but our discussion was pretty much all about her daughters. By the time I even saw the gynecologist, it had already been decided that I was getting an IUD. She breezed over the possible side effects but told me not to worry. An appointment was scheduled for me for the following week—at 8 AM so that I could still get to work on time afterwards. They told me what brand they had decided on for me and pepped me up for the best change of my life. One week later, I went back to have the IUD inserted. I had been nervous, second-guessing if this was a good idea for me, but I sucked it up because the appointment was already scheduled. The doctor and nurse had decided I would get Mirena, a five-year hormonal IUD option, since I was just 21 years old and they wanted it to last until at least my mid-twenties. I immediately agreed, as it was the only IUD I had ever heard of and I had no reason to question if it was a good fit for me. I didn’t know that a longer-lasting IUD could be bigger than a shorter-lasting one, or that not every size works for every body. I expected it to hurt. However, when the gynecologist went to insert the device, it did not fit into my uterus. She could not get the device in. The doctor then tried nine more times before deciding that Mirena was too large for my uterus. Again, for emphasis, the IUD was inserted and taken out ten times before the women decided to try Skyla, a smaller IUD approved for 3 years, which was inserted perfectly on the first try. I was sick for days afterward, which I attribute to nausea from the pain. In the weeks that followed, I was anxious and moody. I have a history of anxiety and I was starting my final year of college so I’ll never know how much of what I was feeling was an effect of the IUD or something else. But if it was the IUD, I wanted to know so I made a follow-up appointment with the gynecologist. At this second appointment, the nurse quickly dismissed my concerns and, apparently, they were barely even mentioned to the gynecologist. Even though anxiety and depression can be side effects of an IUD, I was told that I was just getting used to it, my problems were likely not because of the IUD, and I should wait it out. The conversation lasted all of two minutes. I went home feeling defeated. On the surface, everything worked out. The nurse and doctor in my story followed all the rules, I signed off on their decisions, and one year later I’m happy with the IUD. But looking deeper, it’s clear I was never really given another choice. 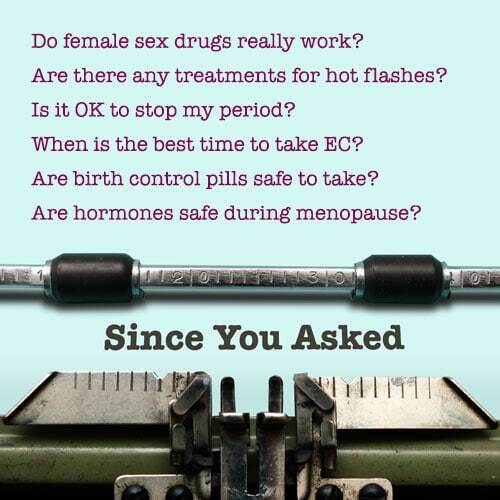 I wasn’t told about any birth control options outside of the pill and the hormonal IUD. I wasn’t warned about the full extent of the pain and nausea I might experience, or cautioned that it might take weeks or months before I felt like myself again. And when I raised questions and concerns, they were disregarded. With my physical and mental health on the line, the decision of which birth control method to use should have been mine. I sought advice from my nurse and gynecologist but was left feeling like I had been cut out of the decision-making process, and I was shut down when I tried to speak up. I am lucky that, in the end, it all turned out fine. But I was a public-health informed, pre-medicine student, and I still could not make my voice heard. It should not have been my responsibility alone to make sure that my needs and wishes were taken into account when determining my health care. Others may not be so lucky.